Do you experience tooth sensitivity more so in the cold weather? There are a couple of explanations for this frosty phenomenon. Winter weather — it’s chilly yet beautiful and often prompts us to take better care of ourselves to support our immune system and remind us to ever moisturize, moisturize, moisturize! But the winter weather can also cause dental pain. Dr. Burchman and his Langhorne dental clinic provide dental services that span general dentistry and orthodontics to endodontics and cosmetic dentistry. With comprehensive services and patient-focused care, going to the dentist doesn’t have to be scary and anxiety-laced. Join us in today’s post as we learn how the cold weather can affect our teeth. Just as our bodies are sensitive to the cold, so are our teeth! As the temperature drops, the combination of icy winds and cold air can sting right to your teeth. Is this something we’ll just have to deal with seasonally? Find out below what causes your teeth to hurt more in the winter and what you can do to protect your teeth. Our teeth are tough, but they’re still vulnerable. Our teeth are some of the strongest and hardest structures in our bodies, but even in their strength, they are still vulnerable to extreme hot and cold temperatures. 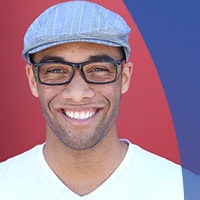 Our teeth are porous and as we age our enamel may become increasingly exposed revealing dentin which can make for sore teeth when exposed to the elements. This may not seem like such a big deal in the winter, but it sure can cause tooth pain. Cold air that is breathed in contract, causing increased sensitivity to the exposed gumline and tooth itself. Once you’re indoors in warmer temperature, the teeth will again expand in the warm air — as this continual expansion of cold and warm arm occurs, it causes hairline cracks in your teeth making for more sensitive teeth in the wintertime. Clenching your jaw is never a good idea, but we tend to do this automatically in response to trying to warm ourselves in the cold. Again, doing this a couple times in the winter is not a big deal, but over time it causes dental erosion and tooth pain from the constant clenching. Sometimes it’s hard to discern whether your teeth are hurting as a result of the cold weather or because there is an underlying issue — both present in similar ways. 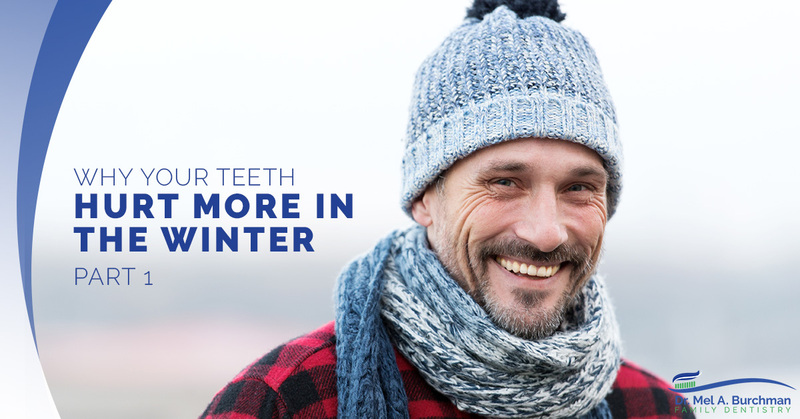 Cold weather can expose damaged fillings, crowns, and bridges, cracked teeth, periodontal disease, cavities, infected gums, or gum recession. It’s amazing how easily our teeth can be impacted by cold weather — they even get tiny cracks from contracting and expanding in response to extreme temperatures over time! If you suffer from cold sensitivity in your teeth, stay with us for part two where we learn what we can do to combat it! Connect with us today and schedule your annual dental cleaning!